The oldest human dwelling site in North America is located near Monroe. Years before the Louisiana Purchase, Monroe was an established trade center. In 1780, a primitive French settlement marked the beginnings of Monroe. In 1783 Jean Baptiste Filhiol was appointed by the Spanish crown to oversee the region. By 1790, Filhiol established a fort on or near the present day site of Monroe. A prohibition ordinance was soon enacted, and Fort Miro was constructed. Much later, the Civil War made its presence felt and Monroe became the site of 2 skirmishes in 1863. The parish courthouse was destroyed by a Union gunboat on the Ouachita River during the siege of Vicksburg. Agricultural prosperity and growth continued through the Reconstruction. Industrial development found its foothold in 1915 with the discovery of natural gas as the area soon became known as the "Natural Gas Capital of the World." 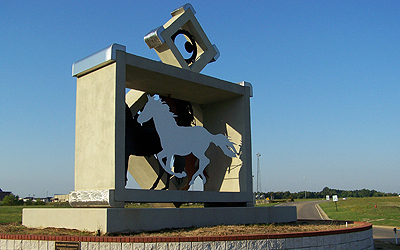 The "Twin Cities" of Monroe and West Monroe continue as the urban center for a parish which is itself the focus of commerce in northeast Louisiana. With a population of more than 145,000, along with a diversified economic base and air, rail, water and highway connections to the major metropolitan areas of the central United States, Ouachita Parish continues as one of the increasingly important locations in the development of Louisiana and of the South. Places of interest in and around Monroe include the Biedenharn Home and Elsong Gardens, built by Joseph Biedenharn, the first bottler of Coca-Cola west of the Mississippi, and Layton Castle, a European style castle bordering the Ouachita River. There's also the Chennault Aviation and Military Museum, the Bible Museum, the Masur Museum of Art, Museum of Natural History, Northeast Louisiana Children's Museum, and Northeast Louisiana Delta African American Museum. The Monroe-West Monroe area is a medical hub for a 16-parish radius. Over 200 physicians, 70+ dentists and other para-medical health professionals and health care organizations are available. There are 8 area hospitals and specialty centers. Degree programs are offered by 7 colleges and the graduate school at the University of Louisiana at Monroe. Monroe City and Ouachita Parish operate elementary schools, junior and high schools. There are 16 private and denominational schools in the area. 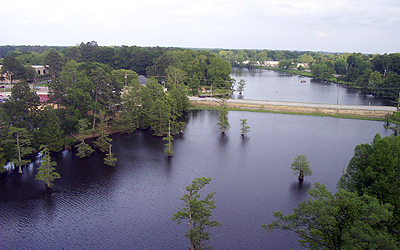 Northeast Louisiana boasts many outdoor and recreational facilities. There's fishing at area rivers, lakes and bayous, including the Ouachita River, Cheniere Lake, Lake D'Arbonne and Caney Lake. Black Bayou Lake National Wildlife Refuge features a 1,800-acre cypress-studded lake and more. Monroe is the heartland for festivals, special events, tours and conventions. Attractions include antique stores, museums of art & history, zoo with 500 animals & 700 plants, convention centers, much more. Many national wildlife refuges & wildlife management areas offer hunting, fishing, horseback riding, hiking & ATV trails, birding, camping, trapping, boat launch & fishing piers. There's also Chennault Park and Forsythe Park plus Frenchman's Bend Country Club with a semi-private championship 18-hole golf course. Whether you decide to visit for a short time or stay for a while, we hope your experience in Monroe gives you fond memories that will last a lifetime.